Water Taxi to Cayo Icacos Drop off and Pick up. THE 'CORDILLERA NATURE RESERVE' is a string of little offshore islands and is administered by the Dept. of Natural Resources of Puerto Rico. There are no facilities on the island, nothing to buy, just heavenly blue water and white sand. The boat trip there takes about 15-20 minutes. The captain will drop you off and then return to pick you up at the time you decide upon. You can per-arrange a pick up time or call him on his cell if you need to change the time. Round trip fare for drop off and pick up later. (Up to 5 people) is $125. . for reservations call Elena. This is not a snorkeling tour! If you have gear and want to do some light snorkeling there are a few spots just off the beach. You will need to bring lots of sunblock, better yet, use rash guards. You will also need water and sandwiches etc. Captain Mingo, above, and his water taxi. He is a very experienced captain with a lifetimes experience in these waters and holds a 500 ton license ( licensed to drive a ferry boat). No other captain operating out of Las Croabas has his equal in local experience.! Above: The water really is this clear! Below: You can explore the island, walking around to the back you can find amazing views. Above: Walking and wading around to the backside of Icacos to explore a different world! Icacos is to difficult to walk around completeley but you can explore from either end of the beach side. 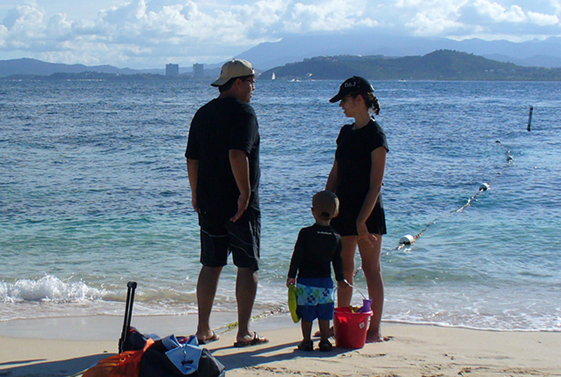 Beach exploring is great for anyone who doesn't want to spend much time in the water. You will need water shoes and a hat! Plus sunblock. We Sincerely request that you do not bring plastic bags, cups etc. to this beach, or any beach! If you have no other option, please check that you have taken them all back with you (plus a few) to be disposed of properly. The animals in the sea are dying from eating all the plastic humans dump in the ocean! Thank you. Be kind to the sea! Please note: Las Croabas, Fajardo is also where the biobay kayak tours leave at night. Los Bohios Restaurant is very good as is Calizo's Restaurant nearby. Snorkeling: You can snorkel/explore around the edges of Icacos if you bring your own gear and capability. Waiting to be picked up at the end of the day from Icacos by a water taxi. In the background is Fajardo, mainland Puerto Rico. Please take Sun block, water and snacks. a towel and dry shirt. Wear a rash guard of long sleeve (white or light blue) shirt then you really won't get as sunburned. 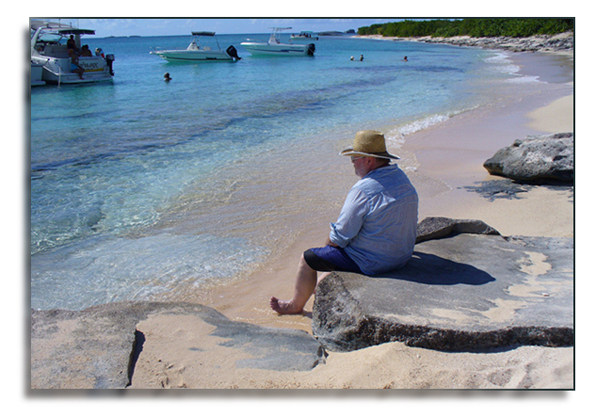 Icacos is a deserted small island and there are NO facilities. No vendors, etc. You must bring everything and remove all your trash. You MUST bring water to drink. 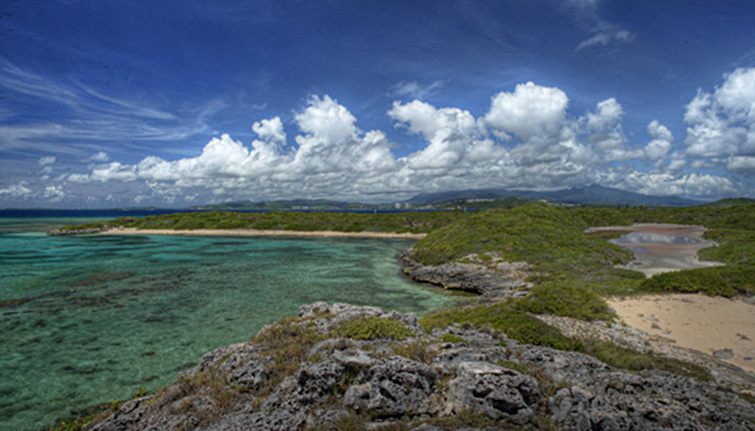 One of the windswept backside of Icacos beaches.